TOKYO — A Japan Airlines plane bound for New York returned safely to a Tokyo airport Tuesday after the pilot reported a bird strike to an engine during takeoff. Television footage showed red flame flickering from the left engine as the plane ascended from the runway. 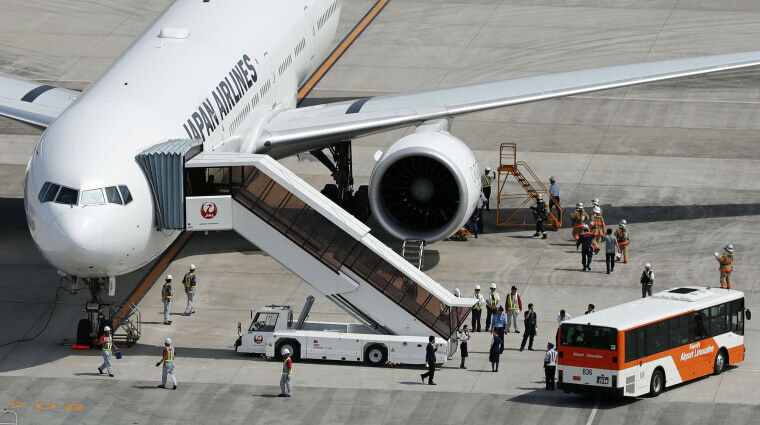 JAL said the Boeing 777 carrying 233 passengers and 15 crewmembers requested an emergency landing minutes after takeoff from Haneda International Airport on Tuesday. The plane returned to the airport about an hour after takeoff and no injuries were reported. JAL said it will inspect the engine. Haneda has the worst record for bird strikes in Japan last year at 182 cases, followed by Osaka, with 73 case and Narita's 57, though not all of them affected flight operations, according to the Ministry of Land, Infrastructure, Transport and Tourism.